Masliza, The creator of Triple sprinkles is one amazing mum. Mum to 4 kids, she makes beautiful bentos for them every day and still finds time to develop an online cake business. Sabaheats team visits her home and talks with her about how she comes up with her beautiful creations. 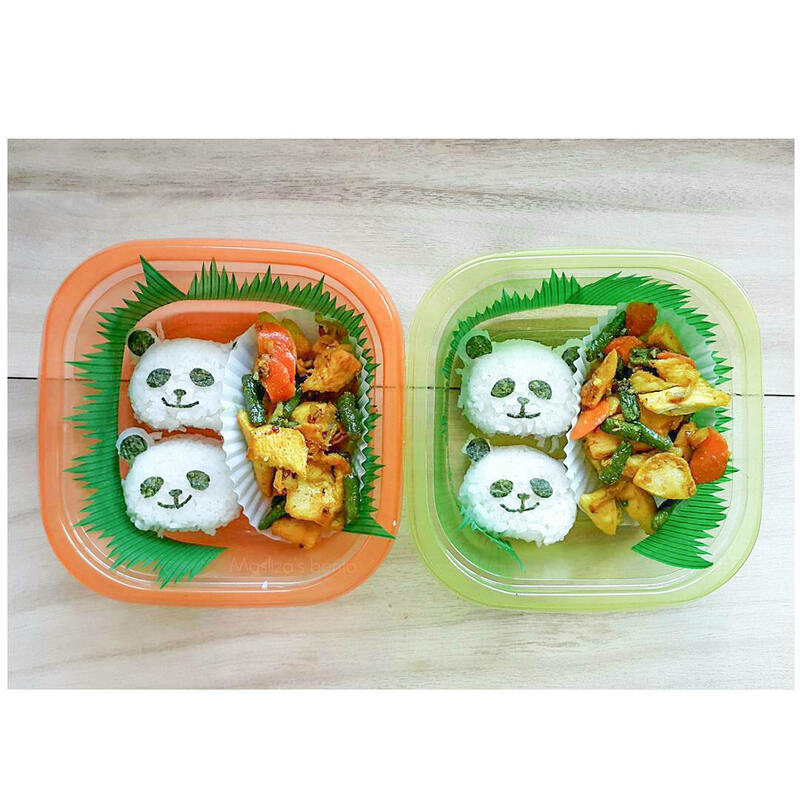 I love making cute food art and bentos for my kids. Creative foods encourage my kids to look at something from different angles in a creative way. My 3rd son has William Syndrome. He is a picky eater. Food arts not only help him to eat more but also he learns basic words thru food on his plate. I commit myself to prepare bentos for my kids and husband daily to ensure they have healthy, clean, nutritious food at school and the office. It also helps them to save money and time during recess. I also follow other bento /food art creators for inspiration and to learn their techniques and recipes in making food art. 2. How can you manage your time taking care of the kids, gardening, baking and cooking? I have 4 kids (12 yo, 9 yo, 6 yo, 1 yo). My daily routine starts by waking up early for Suboh prayer and preparing bentos for my kids and husband. After that, while the other 2 are still fast asleep I will spend my time at my vegetable garden to maintain and harvest the vegetables if there are any. I will start baking for orders in the afternoon after preparing lunch. If there are any cake orders that require decorating, I normally I do it after my kids fall asleep at night because I decorate better in quiet surroundings. I do not take orders on Tuesdays and Thursdays because I have to accompany my special kid to the Community Center at Lok Kawi. 3. Tell us about your baking business? I started my baking business after I retired from the Royal Malaysian Navy in 2012 back in Kuala Lumpur. 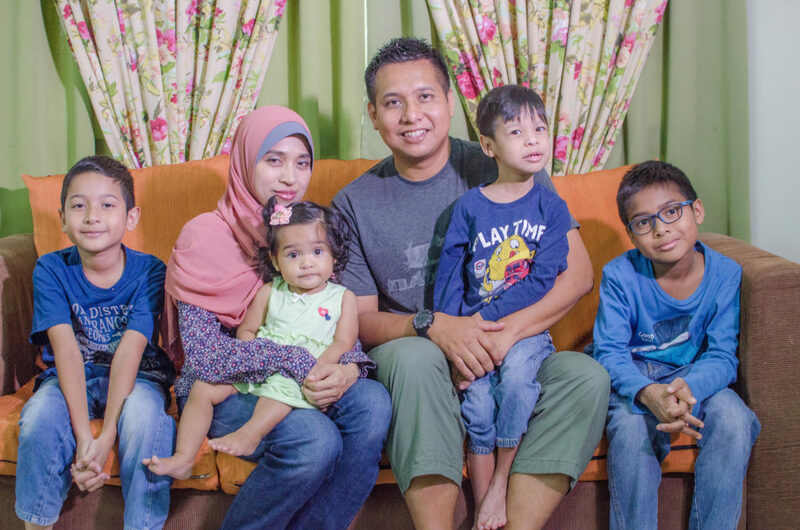 After I moved to Sabah in 2014, I had to stop my baking business for a while due to pregnancy. During that period of time I was only baking for my family, close friends and relatives. Only in January 2016, I decided to open orders for baked goods. My signature desserts are pavlova and macarons. Many customers compliment my pavlova for its balance in flavour and texture – crunchy meringue on the outside yet so smooth on the inside with not so sweet cream and sour from the fresh fruits, plus chocolate flavor from the chocolate shavings. My regular customers from KL sometimes still order pavlova from me when they come to Kota Kinabalu. My other specialty is macarons. Currently I have 10 flavours (passion fruit, mandarin orange, raspberry, strawberry, chocolate, salted caramel, peanut butter, green tea, mango and double chocolate) and I am trying to create new flavors from time to time. I am also making fancy macarons, where macarons are shaped and designed with specific themes acquired by the customers. Info on pricing and promotion is available on my website www.triplesprinkles.com. 4.. Where did you acquire your skill for making cakes? When I was in Kuala Lumpur I managed to take short courses in baking and cake decorating from local classes (Lea Oven, Dessert Table, Kitchen Guardian, Nathalie Gourmet Studio) and international cake decorators (Queen of The Heart Couture Cakes). Baking and decorating cakes is an art, you need skill and passion to do it. The more you bake and decorate, your skills will improve. I constantly try to bake and create new recipes. I do practice my skills on new projects/orders or sometimes I decorate on dummy cakes. I also baked for charity events during my free time. Among my previous projects were a bake sale for parent-teacher associations, a bake sale for Gaza – Aqsa Syarif, and a dessert table for breast cancer survivors during Breast Cancer Awareness Month – Kinabalu Pink Ribbon. 5. What is your goal or what do you hope to accomplish with Triple Sprinkles? I hope that Triple Sprinkles will be famously known for delicious, creative and pretty cakes and desserts in Sabah. I’ve been dreaming of having a petite cake boutique to cater for more customers. 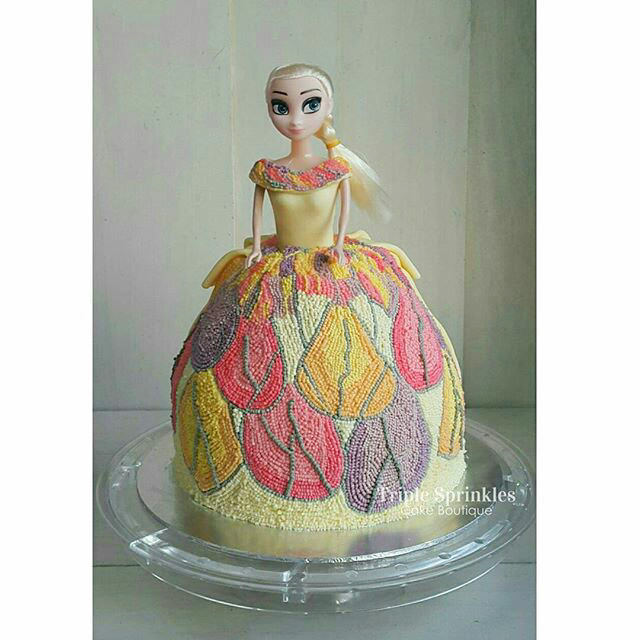 I’m planning to conduct cake decorating classes for kids and adults by the end of this year. In the future, since both me and my husband love to bake and cook, we are planning to run a sweet and savory café nearby the beachfront or waterfront which will offer desserts, pastries and simple yet mouthwatering fusion foods. Well at the moment it’s still a dream hahahaha.